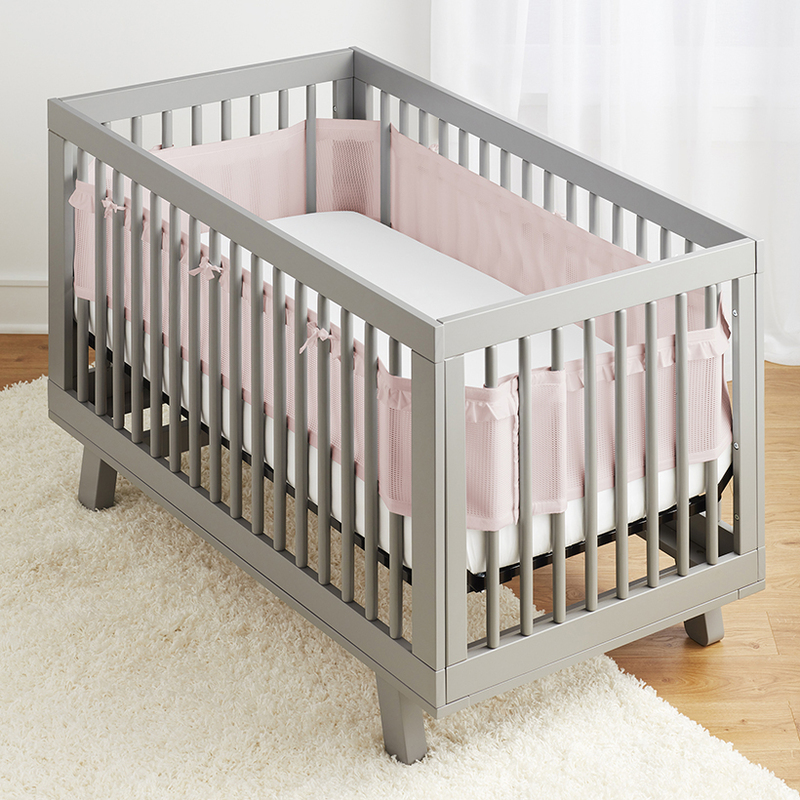 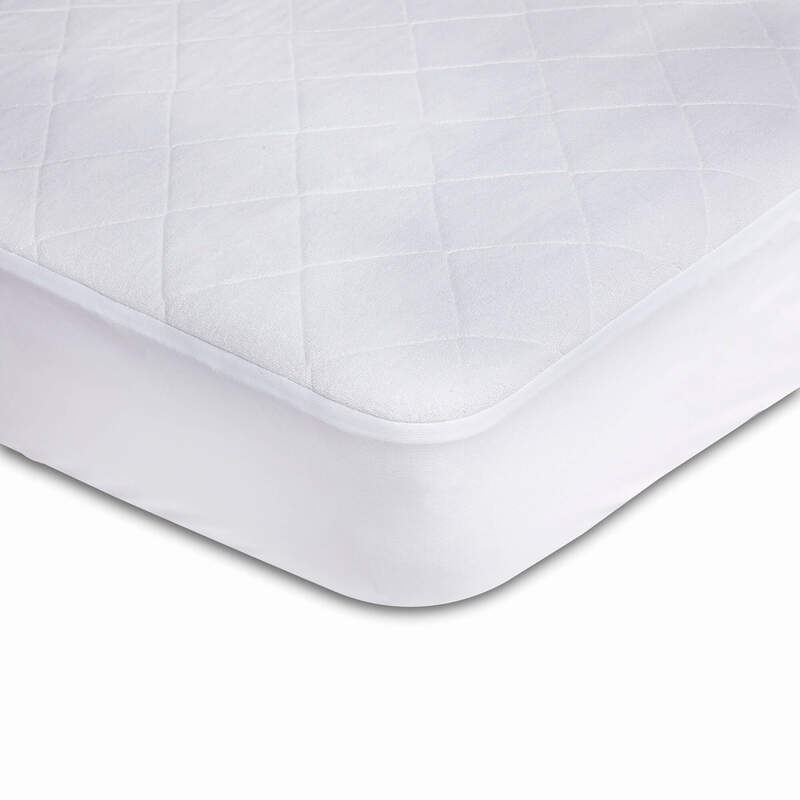 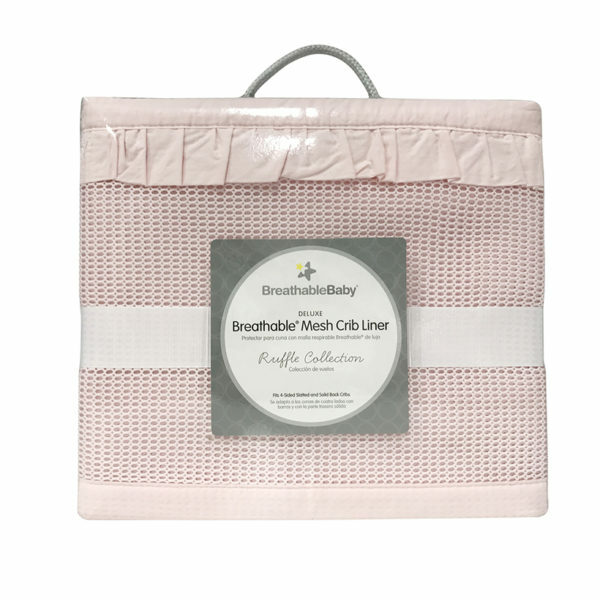 Our Breathable® Mesh Crib Liner is the first and the best. 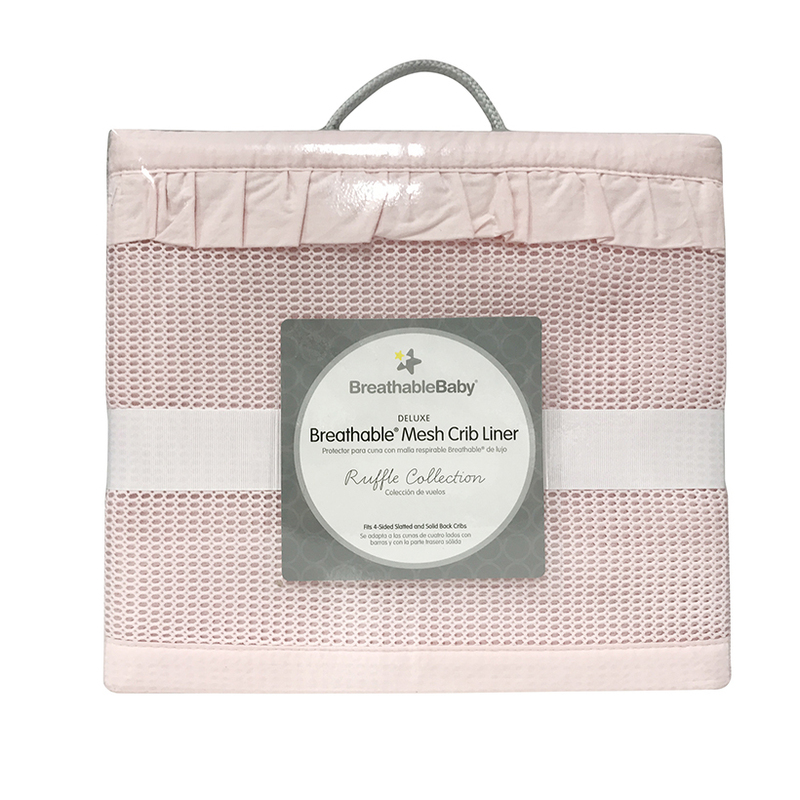 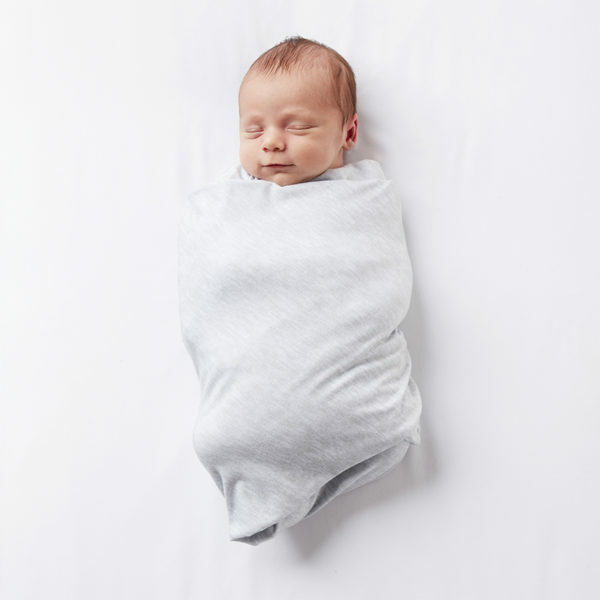 Unlike padded crib bumpers, our liner keeps your little one’s limbs safely inside the crib without risk of restricted airflow. 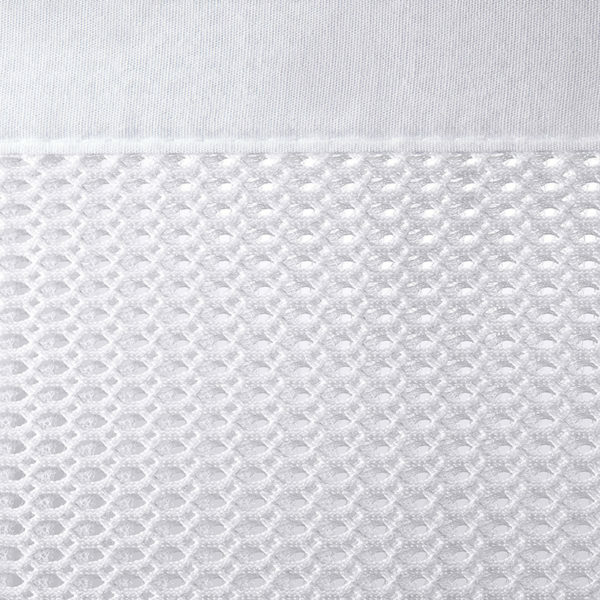 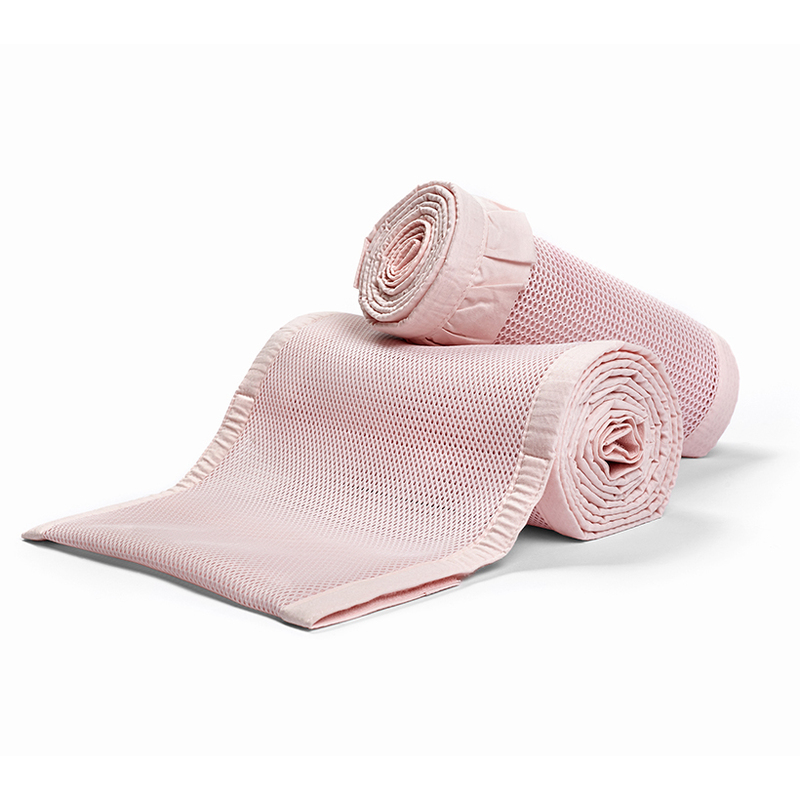 It is made of lightweight, breathe-through mesh and has been endorsed by doctors. 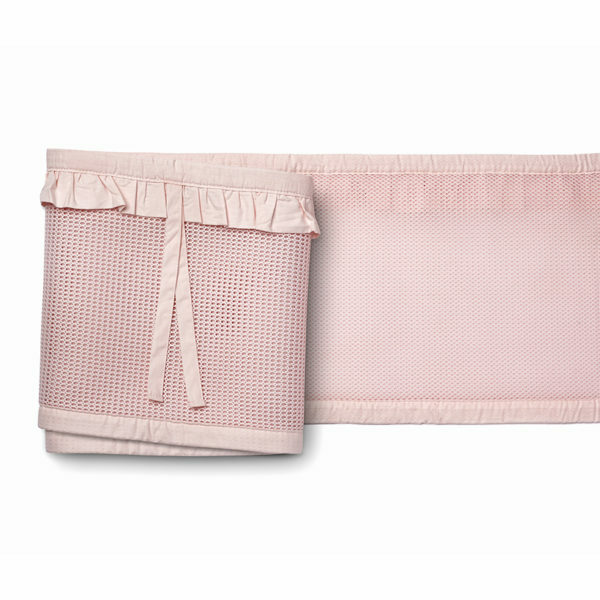 Our liners come in solids, prints and patterns, and fit a variety of crib styles and sizes. 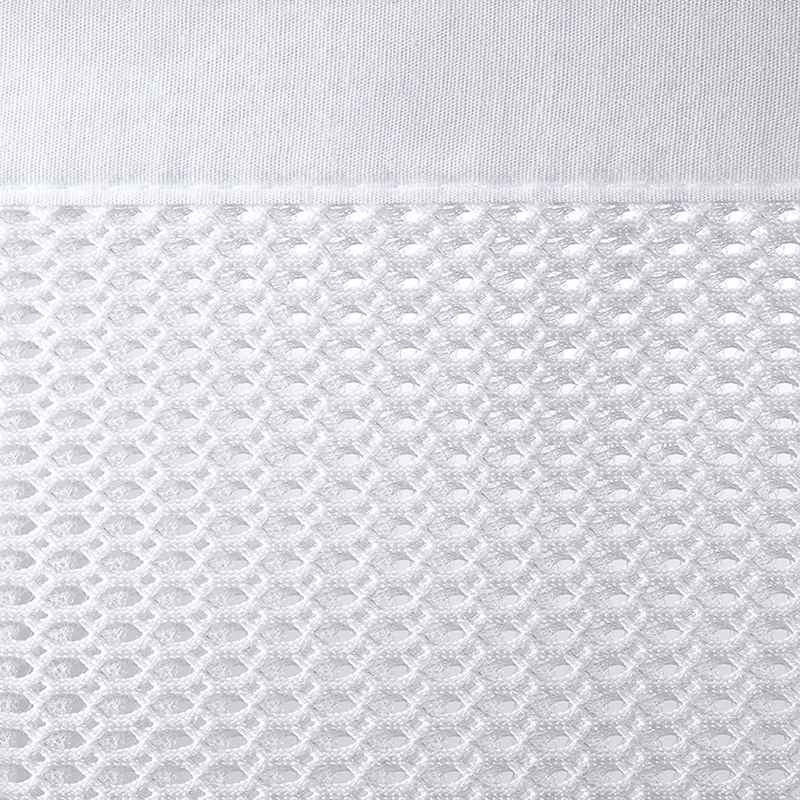 Deluxe Collection liners feature premium meshes and modern details.